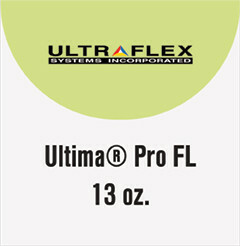 Ultima® Pro 13oz. FL Matte is a smooth, versatile 13 oz. front-lit banner material. Ideal for outdoor banner and truck-side applications. Strong, high quality, cross funtional substrate. Compatible with solvent, eco-solvent, UV, latex and screen printing. Avaialble in widths from 38"-196".